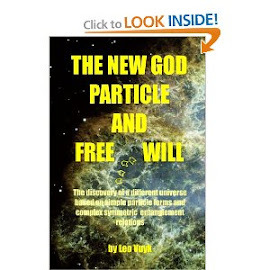 The Big Bang as a Splitting Big crunch Black Hole! left behind a variety of different sized "black hole splinters"
the origin of fast Star and Galaxy formation. Giant Black Hole Could Upset Galaxy Evolution Models. ScienceDaily (Nov. 27, 2012) — A group of astronomers led by Remco van den Bosch from the Max Planck Institute for Astronomy (MPIA) have discovered a black hole that could shake the foundations of current models of galaxy evolution. At 17 billion times the mass of the Sun, its mass is much greater than current models predict -- in particular since the surrounding galaxy is comparatively small. This could be the most massive black hole found to date. Image of the disk galaxy (lenticular galaxy) NGC 1277, taken with the Hubble Space Telescope. This small, flattened galaxy contains one of the biggest central super-massive black holes ever found in its center. With the mass of 17 billion Suns, the black hole weighs in at an extraordinary 14% of the total galaxy mass. (Credit: NASA / ESA / Andrew C. Fabian / Remco C. van den Bosch. ScienceDaily (Nov. 28, 2012) — A jet of X-rays from a supermassive black hole 12.4 billion light years from Earth has been detected by NASA's Chandra X-ray Observatory. This is the most distant X-ray jet ever observed and gives astronomers a glimpse into the explosive activity associated with the growth of supermassive black holes in the early universe. 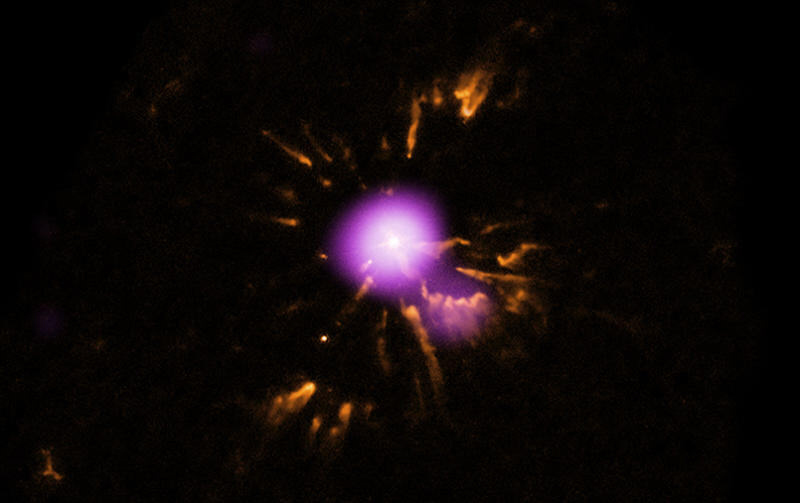 Close-up view of A30 showing X-ray data from NASA's Chandra X-ray Observatory in purple and Hubble Space Telescope (HST) data showing optical emission from oxygen ions in orange. The jet was produced by a quasar named GB 1428+4217, or GB 1428 for short.